Boulder is super dog-friendly. Everywhere you go, people have their four-legged friends in tow — whether it’s hiking one of the many trails in town, riding down Broadway with their head out the car window, at the dentist’s office or waiting in line at a food truck with their owner. 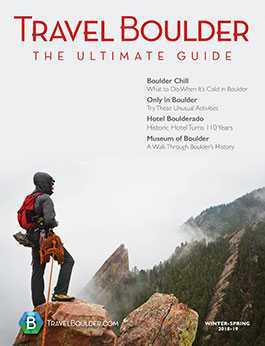 It’s only fitting, due to the active lifestyle most Boulder residents live. Everything is better with an adventure buddy. Boulder boasts pet-friendly accommodations, including pet-friendly hotels and plenty of parks and open space for dogs to get some exercise. But what about dining with your dog? Yes, Boulder has that, too. Don’t expect to be able to bring your furry friend inside anywhere; we aren’t there yet. But there are plenty of great places to dine in Boulder with outdoor seating that do welcome dogs with open arms. Avery’s location in Gunbarrel has a huge outdoor patio, perfect for spending a summer afternoon playing yard games and hanging out with your pup. The outdoor area is equipped with picnic tables and a turf yard, giving you options to accommodate your pup. The outdoor patio serves food and beer to patrons. Boulder’s food truck park is for families, including the furry kind. The outdoor area has a fire pit, picnic tables, yard games and two to three revolving food trucks at a time. Dogs are welcome outside. There is also an indoor area which provides a bar, more tables and a stage for live music; dogs aren’t allowed in there. 3. Half Fast Subs, 1215 13th St.
Half Fast Subs is a Boulder staple, known for its large and delicious sub sandwiches and strong pitchers of Long Island iced teas. It has a small patio area, great for your dog and people-watching on The Hill. 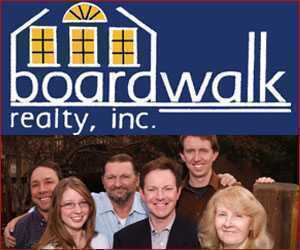 This location is perfect for people near campus who want a true feeling of what Boulder is all about. 4. T/ACO, 1175 Walnut St.
T/ACO is located right downtown and is a fun spot for street tacos and margaritas. The restaurant is small and the outdoor space is small, too. But if you can get a seat outside it’s a great place to hang with your dog. 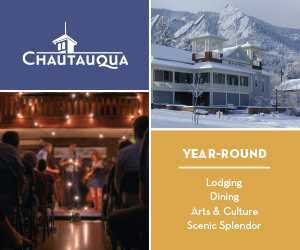 It’s the perfect place to hit up after taking your dog to nearby Boulder Creek. Boulder Beer is another one of those places to spend a sunny summer afternoon. This brewery has a large outdoor area with picnic tables where you can order food, a stage for local live music and yard games. Dogs are welcome to come hang out here any time of year. 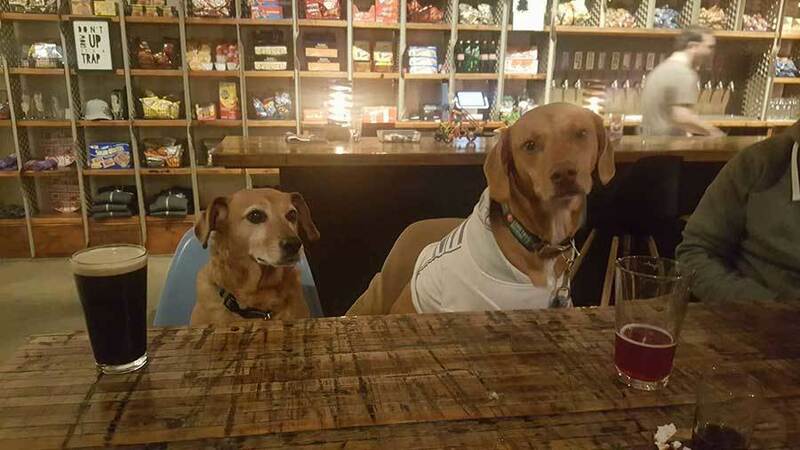 The brewery even has a special side entrance for customers who wish to dine with their dog. Cafe Blue, open for lunch and dinner, is located just outside Boulder city limits. It has a dog in its logo and happily welcomes dogs out on the front patio. This restaurant serves great American food and often holds events and specialty wine dinners at its venue. 7. SnarfBurger, 2000 Arapahoe Ave.
SnarfBurger is a great local joint, with milkshakes, hot dogs and fries — a classic burger place. The building is small but does provide customers with a few tables outside where you can eat with your pup. SnarfBurger is only a short walk from the downtown area and a perfect location near CU student housing. Upslope is one of the only places in Boulder that actually allows you to bring your dog inside, the reason being that they don’t make food there. However, you can get food from a neighboring business, Ozo Coffee or The Deli, or if there’s a food truck parked in front. Upslope also serves empanadas from Lazo. 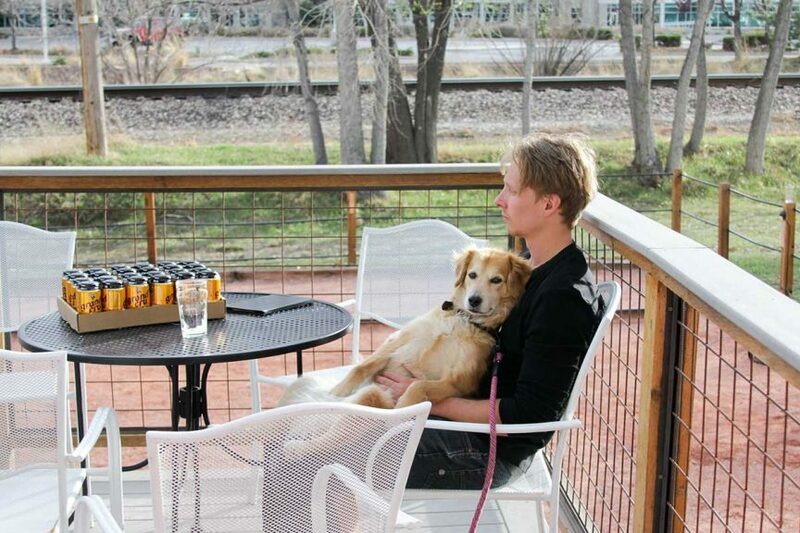 Upslope is a great place to relax with your dog, inside or out, and it is also a good place to try some local beers. For those of us who own a dog, we know that they are part of the family. This means we want to do everything with them — including enjoying a meal together. 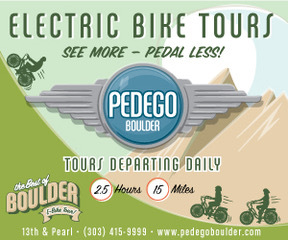 The pet-friendly vibe in Boulder is great for locals, as well as visitors traveling with their furry companion.